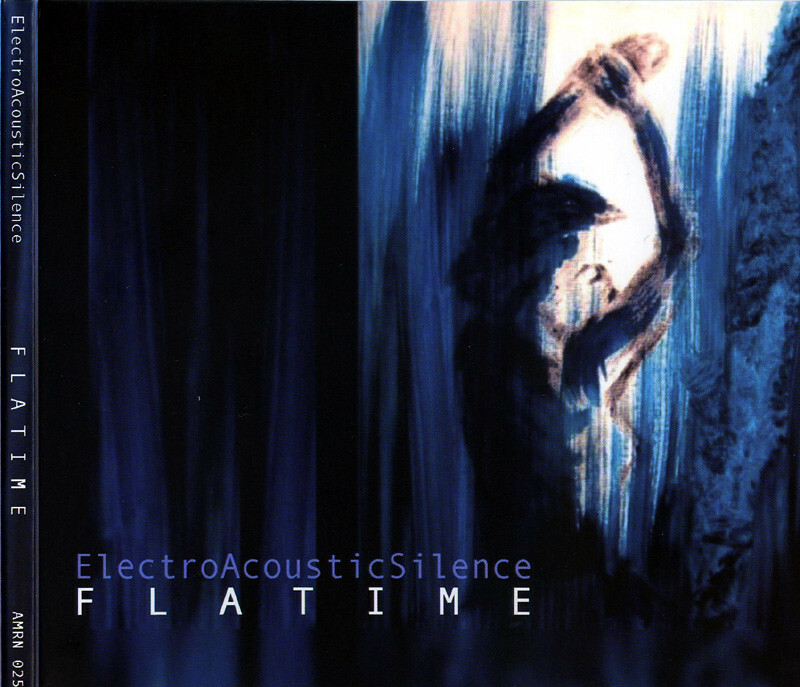 Second excellent work for ElectroAcousticalSilence on Amirani, here is an awesome sound investigation, with lyrical flights in a contemporary atmosphere and sudden perspective changes in depth, space, drama and warmth. 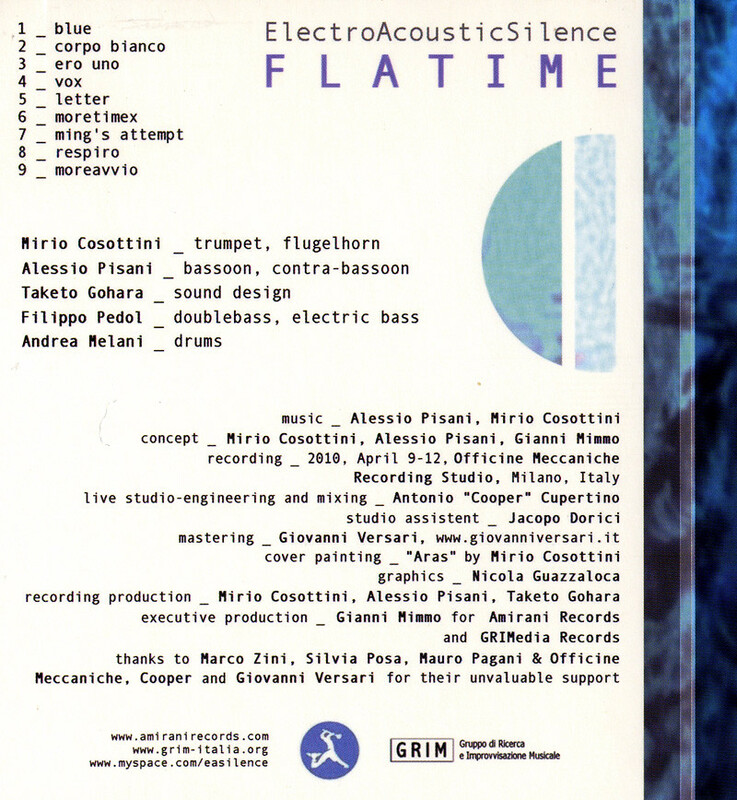 Pisani’s bassoon poetry and Cosottini fluegelhorn sweetness find in Taketo Gohara‘s sound design a new teathrical dimension and a vertigo delight, excellently sustained and pushed by the groovy dash of Pedol’s grounding bass and the Melani’s refined drums. Perfectly recorded at Officine Meccaniche studios in Milano, Italy, you’ll find here another Amirani high level release. thanks to Marco Zini, Silvia Posa, Mauro Pagani & Officine Meccaniche, Cooper, Giovanni Versari for their unvaluable support. 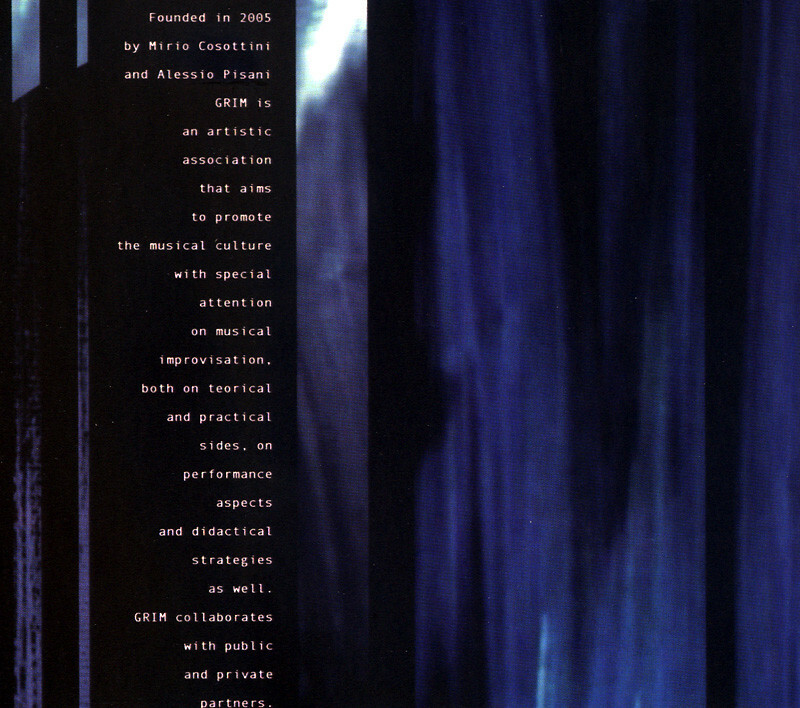 Founded in 2005 by Mirio Cosottini and Alessio Pisani, GRIM is an artistic association that aims to promote the musical culture with special attention to improvisation, both on theory and practical sides, on performance aspects and didactic strategies as well. GRIM collaborates with public and private subjects, sigle musicians, italian and international composers, dancers and video-artists.